My little crop of Strawberries. They were so wonderfully sweet! I'd forgotten what lovely old fashioned strawberries tasted like! 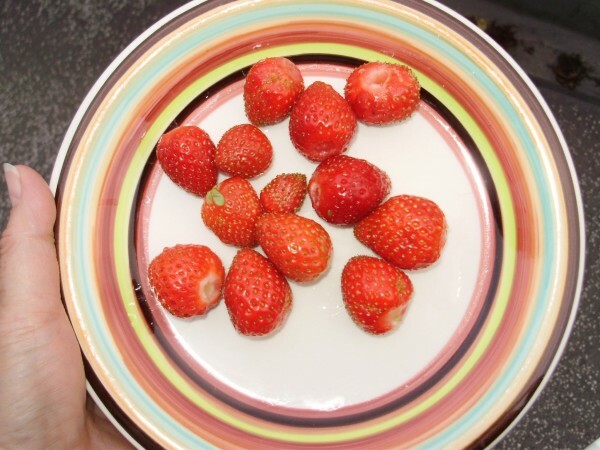 So many shops sell strawberries grown for their shape and size these days and not for the flavour! I've got about another 25 that are still to ripen.